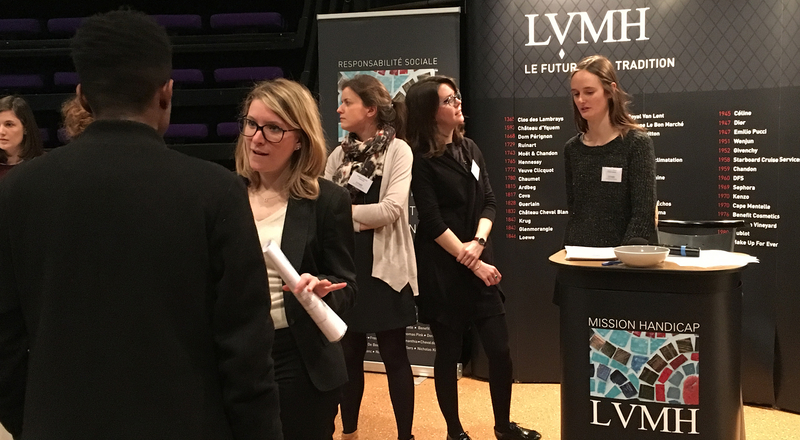 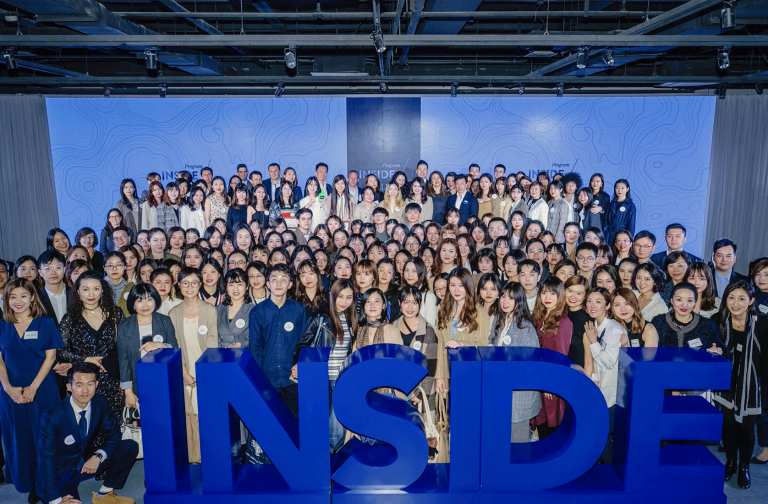 The LVMH Institut des Métiers d’Excellence presented its different work/study training programs during an open day in the Paris suburb of Clichy-sous-Bois on March 29. 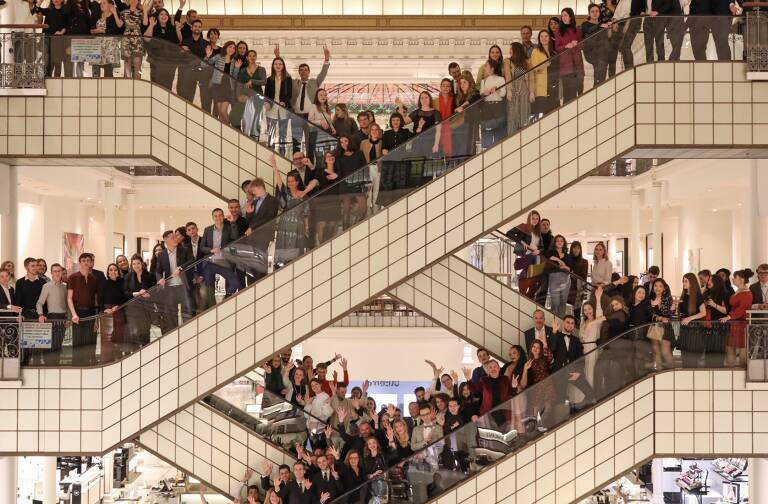 The event gave visitors a chance to learn about an array of métiers, from couture and jewelry-making to retail sales. 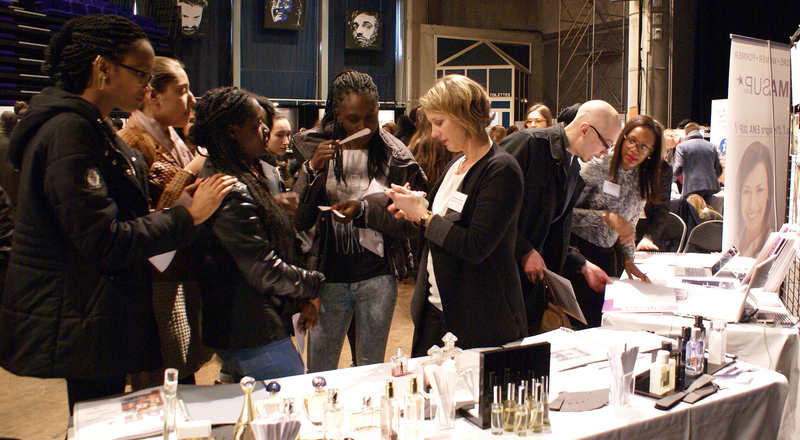 This variety offered enriching food for thought for young people thinking about their future careers. 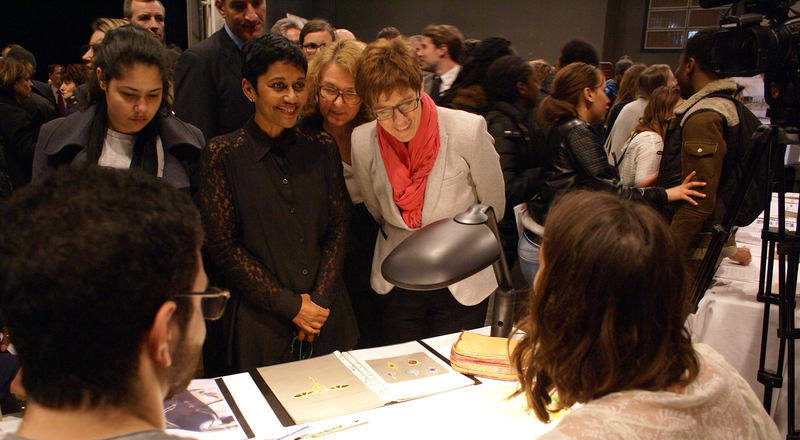 The Village de l’Institut des Métiers d’Excellence also welcomed Ericka Bareigts, State Secretary for Equal Opportunity and Annegret Kramp-Karrenbauer, Minister and President of Germany’s Sarre region, who were eager to see how such initiatives can support inclusion policies. 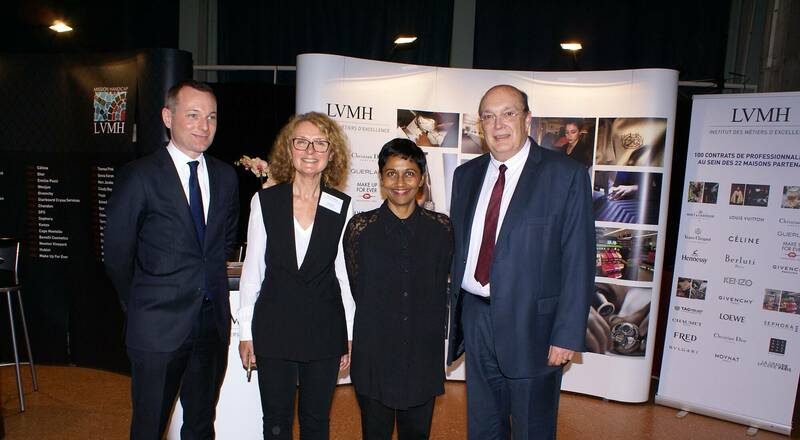 They were accompanied on their tour of the different booths by Olivier Klein, Mayor of Clichy-sous-Bois, Xavier Lemoine, Mayor of Montfermeil, and Christian Sanchez, LVMH Group Vice President for Social Development. 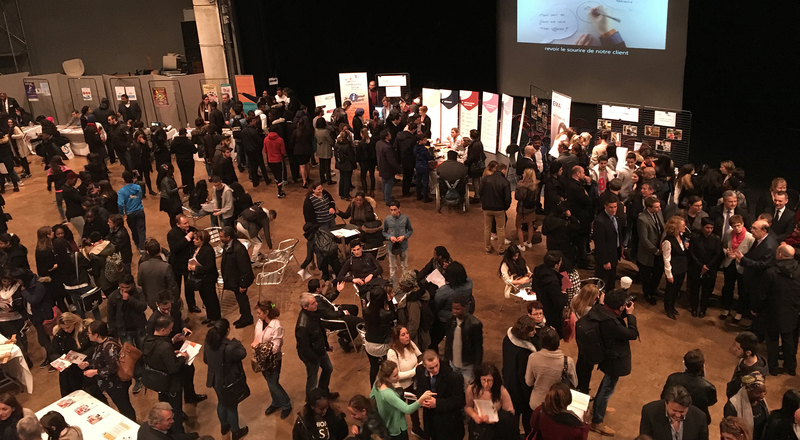 Avize Viti Campus, BJO Formation Bijouterie Joaillerie, Ecole de la Chambre Syndicale de la couture française, EMASUP, l’Ecole Boulle, Greta Création Design Métiers d’Art, Les Compagnons du Devoir et du Tour de France.